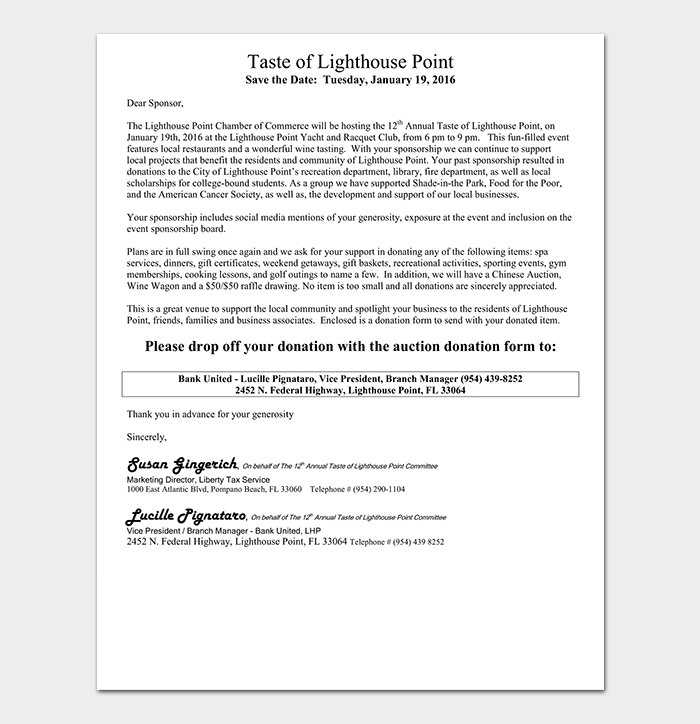 A donation request letter is sent by an individual, group or organization to its prospects with a goal of raising funds for a specific cause. 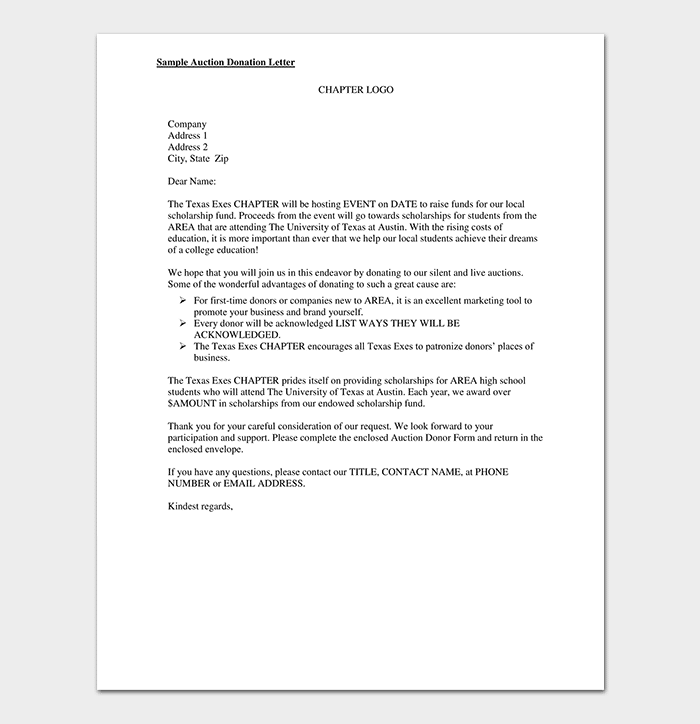 The letter can be sent with attachments that provide more information about the specific project. The support requested should not be limited to finances only, you can request aid inform of materials or labor. This is the formal method used to ask for donations from donors. 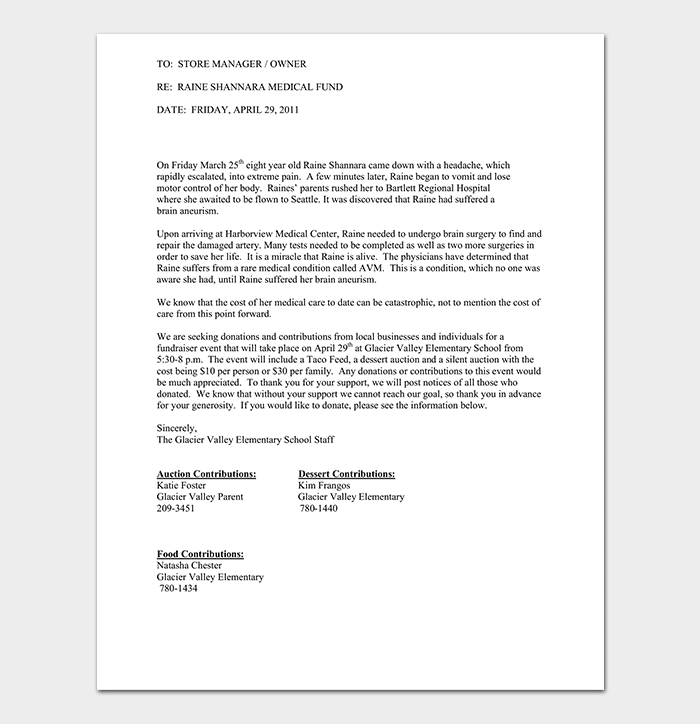 The letter can be sent by schools, churches, individuals, hospitals, non-governmental organizations etc. Writing the letter can be a daunting task especially if you are not used to the art of writing such letters. 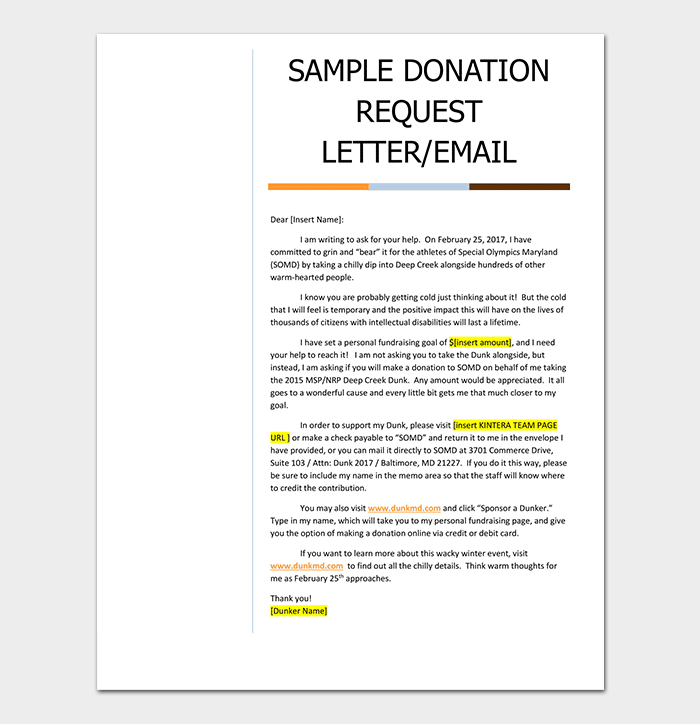 A Donation request letter template comes in handy to assist you to know the format and that language to use. How do you ask for a donation? I take this opportunity to request for donations for our school building project. We appreciate your support so far in funding our previous projects. In this coming financial year, we anticipate building five classrooms at the cost of $ 30,000 to accommodate the increasing number of students. Due to our limited budget, we are unable to fund the project. We, therefore, request for support from willing donors to assist us to realize the goals. You can opt to support us in cash or building materials. Any amount is welcomed. For more information on the project and how you can assist kindly liaise with my office. As a school we appreciate your efforts as you plan to support us. 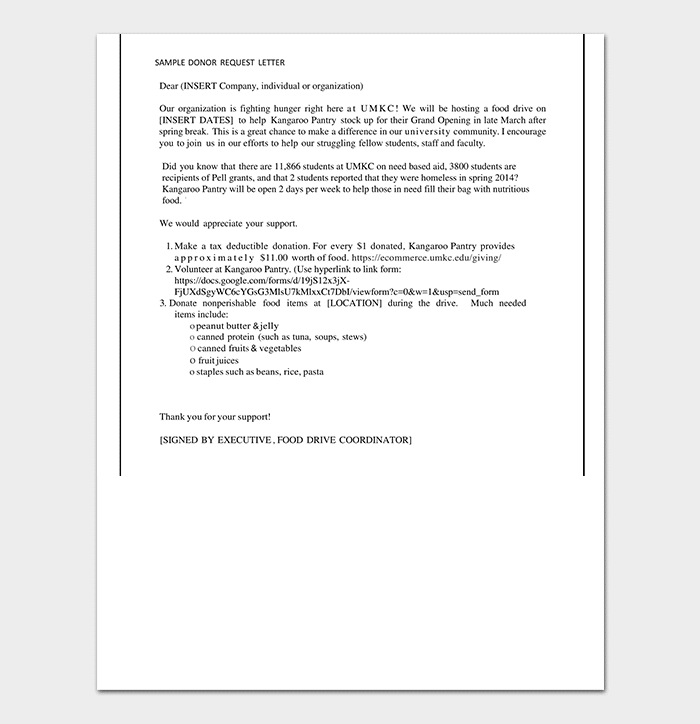 This letter is written by an ailing person or another party on their behalf to request funds to cater for medical expenses. 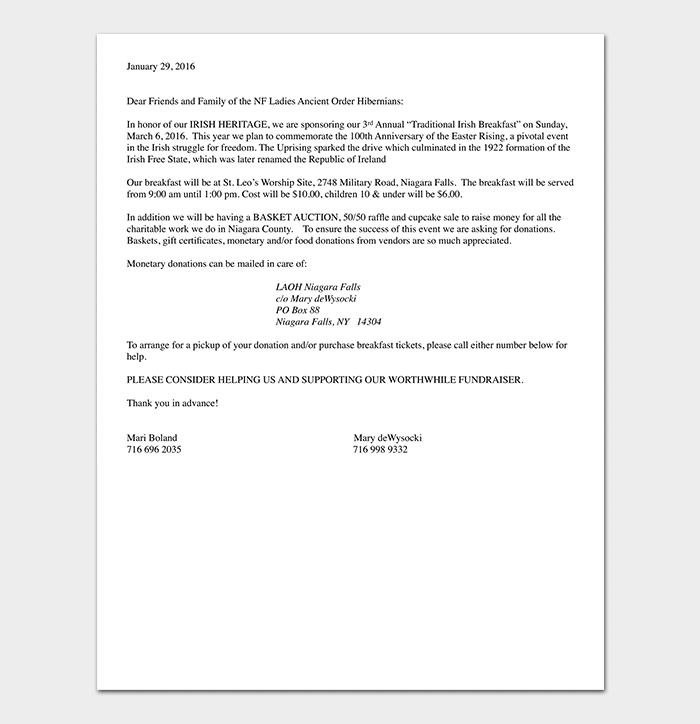 The letter could be welcoming you for a funds drive or seeking for financial donations. 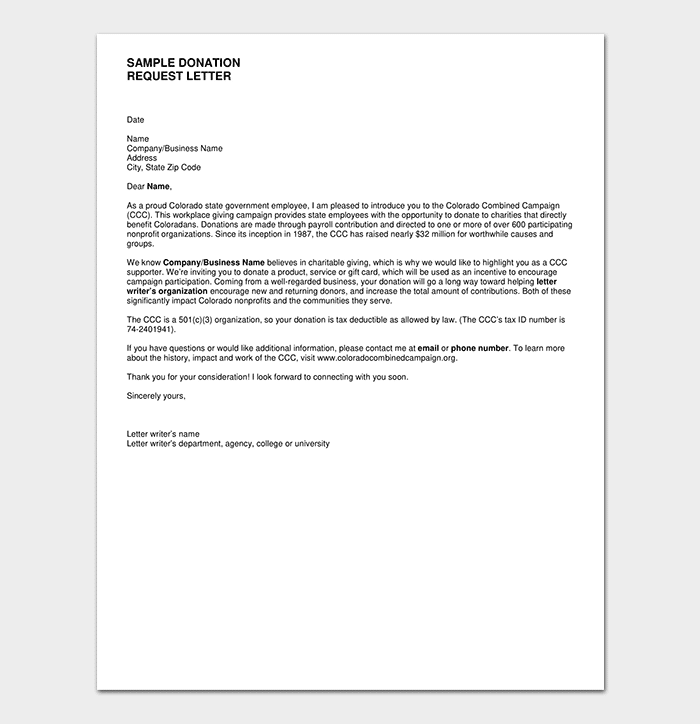 The letter is written by a business that is in need of financial support. It can be written to shareholders or other prospective donors. 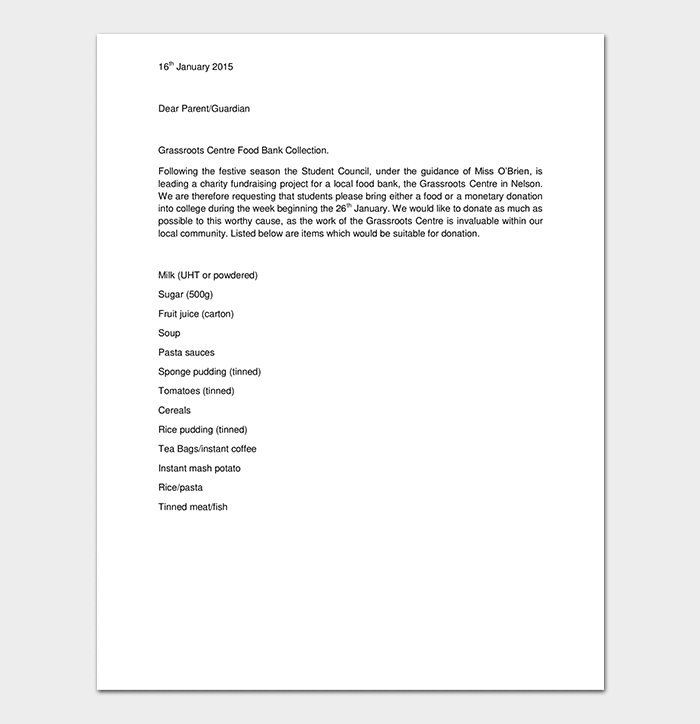 This letter is written to ask for food donations. It can be written by children, homes, churches, non-governmental organizations among others to request donors to assist with foods or donate cash to purchase food items. Churches sent donation request letters to support their project. 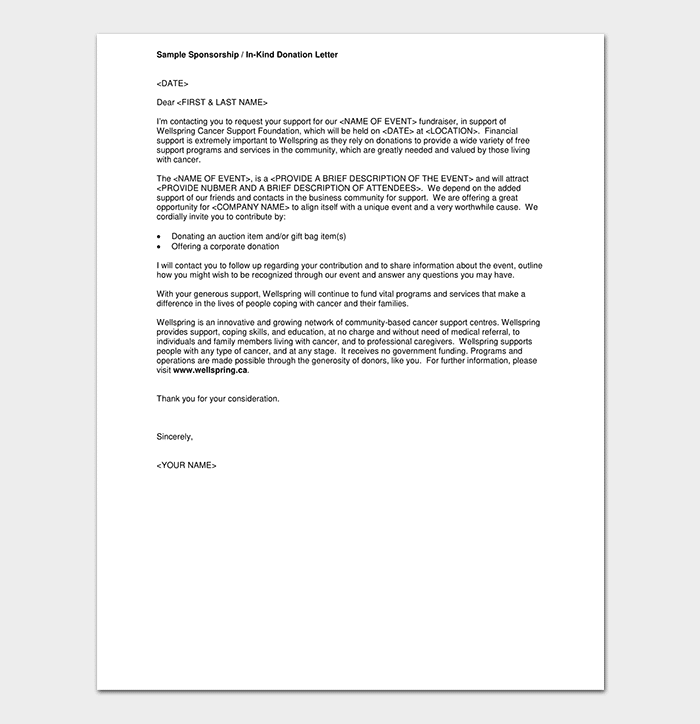 This letter can be sent to members or sponsoring organizations to assist them to achieve their worthy course. 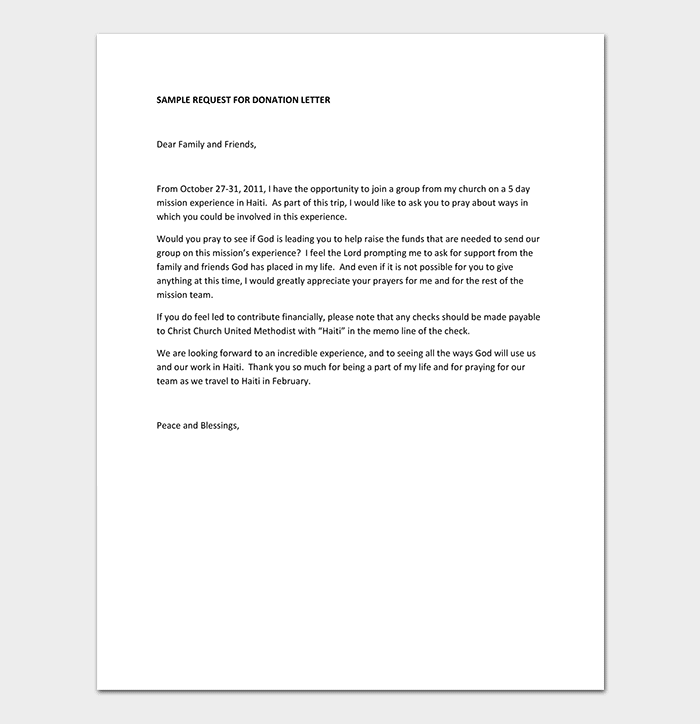 Schools write a donation request letter to raise funds for their different projects. 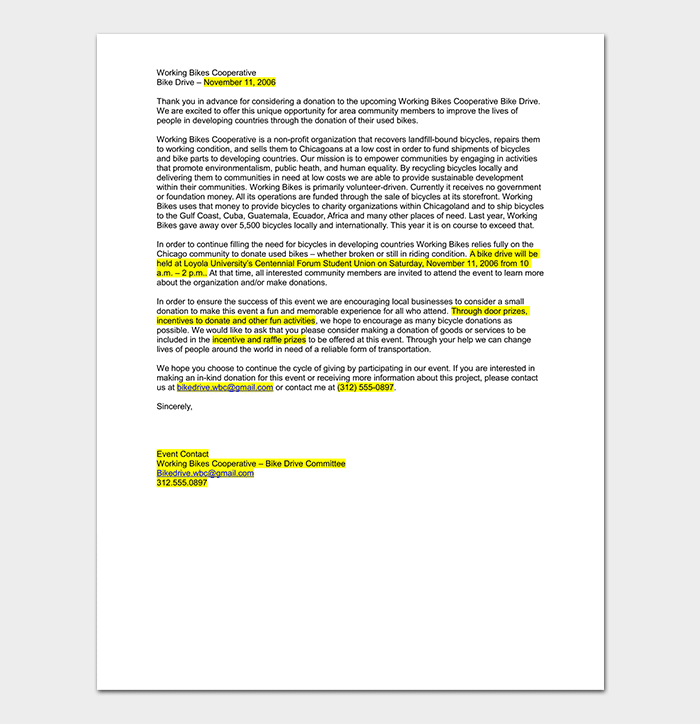 This letter can be written to parents, government or non-governmental organizations among other donors. 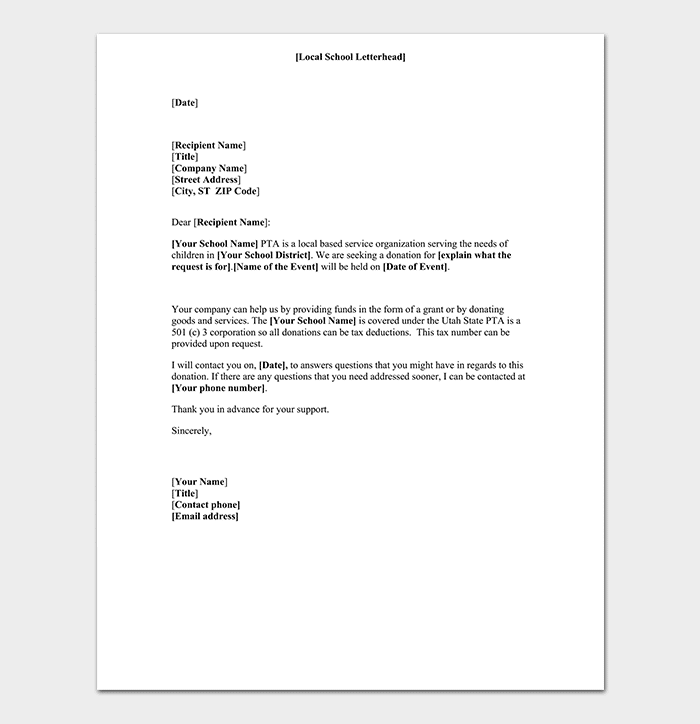 The letter specifies that project at hand and the amount of money required. Instead of sending a hard-copy donation letter, you can send an email requesting for donations. The email must follow a formal business format. In the email, you will describe the project and the amount required. Decide the amount. 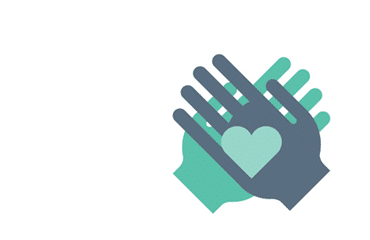 Before you embark on asking for donations, decide the amount or type of assistance required. Decide who to ask. As you plan to ask for donations to be specific. Are you asking your donations from an individual, group or organization? Who will you address in the case of groups and organization? Be ready for a negative response from some of your prospective donors. Remember not all will respond positively. You will receive lots of negative response but remember this is part of the process. Craft the letter/ email/ invitation message. The response expected will be determined by the message sent out to the donors. Start with your address, followed by the address of the donor. Remember to include the date. Salute the recipients and introduce yourself or your organization. Explain the type of project and how the raised funds will help to achieve the desired goal. In this case be specific. For example, “We request for $ 12000 to build 5 classes in the next one year. Conclude your message by thanking your donors in advance for their support. Remember to include your signature, name, designation and company/business you work for as you terminate the letter/ message.